This is the last Black Label Lipstick I picked up in my Cherry Culture Haul. 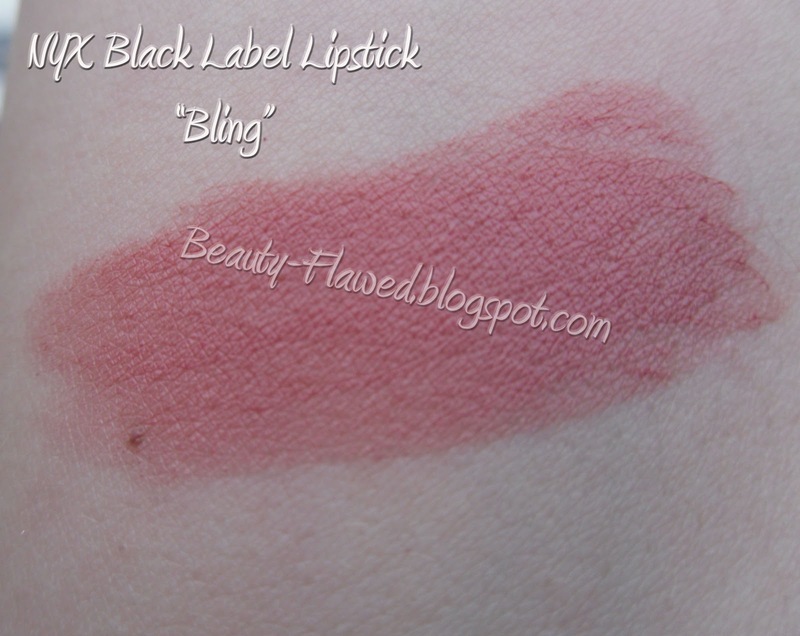 This one is in the shade Bling, its a pink toned shade that leans more towards neutral. 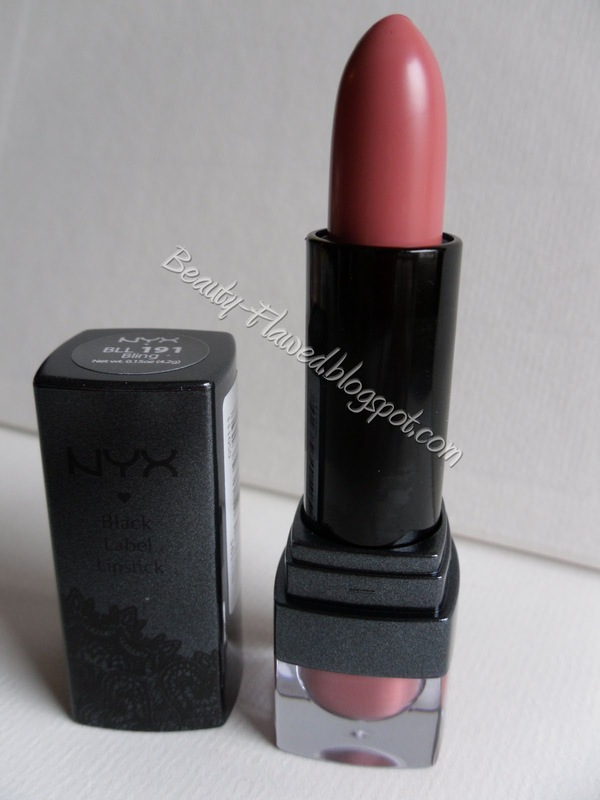 This is a great everyday shade and I like to wear it during the day when I'm just out running errands. The formula for this is really nice, just like my two Red Black Label ones its moisturizing and almost feels slick like a lip balm. The color is nicely pigmented and shows up well with just one application. It does however come off threw eating and drinking and needs to be retouched. It does stay on well if not eating or drinking. Overall I'm really glad I picked this one up it's a nice tame shade that works great for everyday. 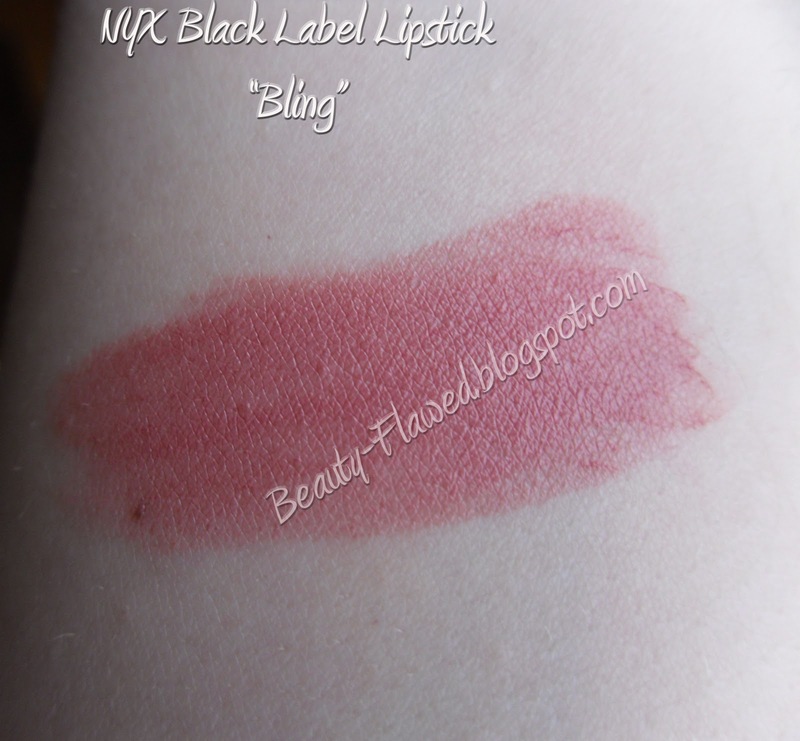 I think I'll be picking up more lipsticks from the Black Label Line just because I like the formula of them so much and they are quite affordable! OOh, I really like this color! I LOVE Cherry Culture cos they carry NYX and put them on sale all the time! LOVE this shade. I just discovered cherry culture so that's good to hear I'm quickly becoming a bigger and bigger fan of NYX! That's a really pretty shade. Great review. So pretty. I looovee Cherry Culture for NYX.